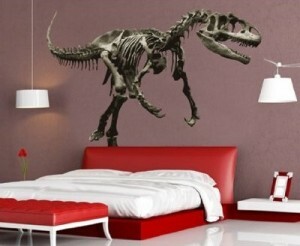 Dinosaur wall decals are a great way to dress up your interior spaces. They look great on the walls of your kids room and your young dino lovers will absolutely go wild over them. 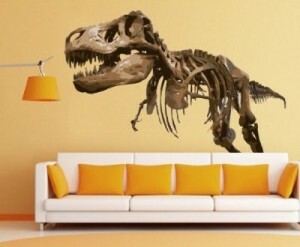 Add a few dinosaur toys along with these vinyl wall decals and your child will think they are in dinosaur heaven. One of the newest decorating trends is adding vinyl wall decals to interior spaces. It really highlights an area. 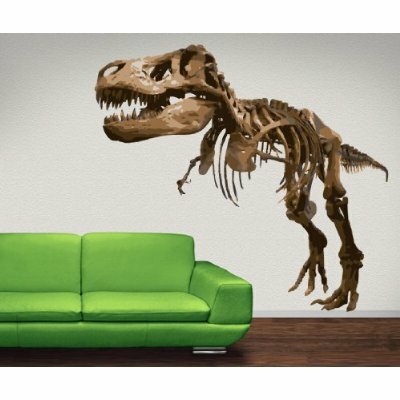 Vinyl dinosaur wall decals add an extra dimension to any room. Because the design is on a transparent background they really stand out in a way no wallpaper mural can. Best of all vinyl decals are simple and easy to apply. Much easier and cheaper than hiring someone to paint a mural and if you want to change decor you simply peel them off. Vinyl dinosaur decals will last for over 10 years inside and about 6 years outside. You can apply them to any smooth surface and some lightly textured ones. Although they can be removed they can’t be reused and should not be applied to fresh paint that hasn’t been fully cured. But vinyl dinosaur decals are not only for children. Adults love dinosaurs too and some of the dinosaur decals we carry will look great in the living room or in just about any room you have. Prices start at about $25 and go up to about $240 depending on the size and complexity of the design. We know your homes decor is important to you. 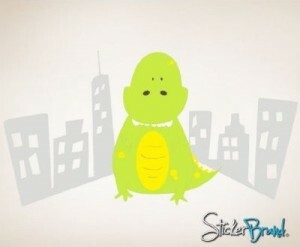 So we offer Stickerbrand vinyl dinosaur wall decals because they are the best quality. Don’t be fooled by cheaper knockoff wall decals you may find elsewhere.